Administrators can control who is allowed to view or post queries and which users are allowed to respond. Control access to the question and answer system by defined user roles or custom user groups. Moderate and approve user posts before they get published on your discussion forum, or Pre-Approve posts made by specific selected users. Users can view their public profiles, along with a list of all the questions and answers they’ve posted. Generates a detailed log and statistics of the forum activity. Shows the geographic location so you can see where your users are coming from. Support password protected private or group conversations which only question poster and selected users can see. Is it healthy for children to be on a vegan diet? Users can upload multiple file attachments to their complete question and answer system. Admins can restrict certain file extensions. Supports multiple discussion forums and enable easy navigation by creating question and answer forum categories to form a Q&A network. 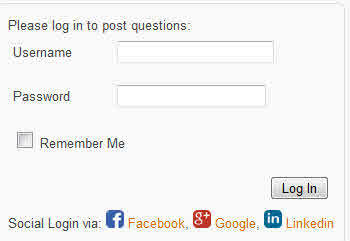 Users can login with their social media accounts to vote for best answers or post questions and answers. Comments can be added for each posted question or answer on your discussion forum. Support the display of Ads and banners inside the forum. 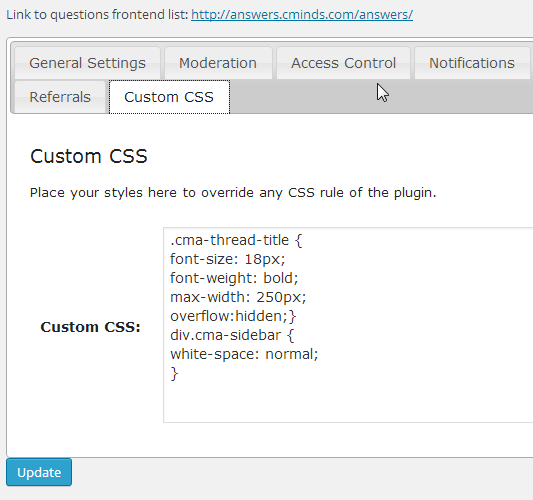 Use a shortcode to embed questions and answers from your discussion forum inside any WordPress page or post. The Answers plugin Integrates with BuddyPress API to Show posts by users in their BP profile, wall and news feed notifications. Replaces the WordPress comments system with our Q&A widget on any page or post on your site. Empower your Questions and Answers forum with MicroPayment support. Allow your users to pay for posting a question or an Answer or facilitate a community discussion by granting points of your defined virtual currency to frequent and popular posters. Question and Answer WordPress Plugins mean you can also integrate with other plugins. MicroPayment adds a real payment gateway like PayPal or use EDD plugin and choose from more than 40 payment gateways. The CM Answers Anonymous User Posting Add-On adds the option for non logged-in users to post questions, answers and comments in the CM Answers discussion board. Posts by non logged-in users appear under a generic unknown user or user specified name or email. The admin can moderate anonymous postings to avoid spam and authorize content. Extension also includes a Captcha support. I absolutely love CM Answers! I discovered this plugin by accident, and just had to get it. I have a WordPress blog where users write in questions and other users are able to answer them. I have been doing everything manually for the past few months, and I’m so mad at myself that I didn’t discover CM Answers sooner. By having CM Answers, I am able to keep everything organized without all the hassle. Users are able to answer questions in a stackoverflow style. My blog stays more organized and the users seem to like the layout better too. This is a great plugin with great features. I had a little trouble with the compatibility of my theme, but the developer was very helpful and even fixed the issues. Great plugin by a great developer, I highly recommend this plugin. You will receive all plugin great features, one year of support and one full year of free version updates. Can I allow only registered users to view questions? 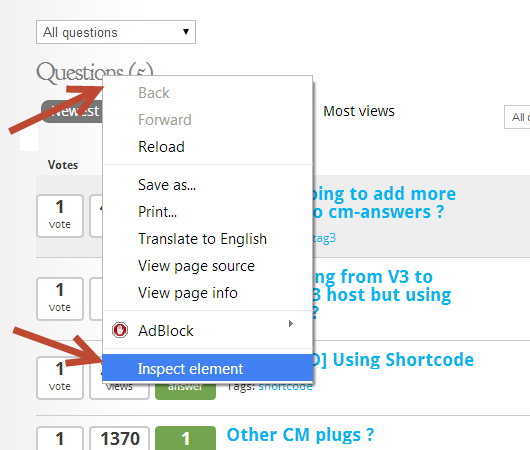 forum localization with CM Answers can easily be done using the /lang directory in the plugin. Is CM Answers an SEO Friendly forum? Absolutely. CM Answers uses posts for questions and comments for answers. That alone makes it an SEO Friendly forum because each question posted adds new user-generated content. Answers are then detected by search engines as a popularity measure, so the more answers posted for each post the better. Both the Questions and the Answers pages are built with SEO in mind, taking search engine indexing methods into consideration. If you are using a sitemap generator, please make sure to include the custom post type questions before rebuilding the sitemap. Does CM Answers Use Custom Post types? Yes. 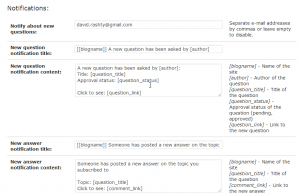 CM Answers uses a ”custom post type” for questions and WP comments for the answers. Therefore a real WordPress user needs to be assigned to each question/custom post. When using the WordPress search engine or other search plugins like Relevanssi, look for the CM Answers custom post type and add it to the search index. This is the same case for plugins which generate sitemaps. Can users do live chat with the experts? No. This plugin does not have a live chat feature. Users can only send private message query or ask questions to the professionals. Does it have a free plugin version? Yes. You can download the free plugin version Here but it does not include all the features. Can images or files be uploaded with questions? Yes. Admin can allow users to add attachment and images to the question answer. It also applies to the answer and comment sent by the experts. Does this plugin have a Recaptcha option? No. It does not have Recaptcha option. How can I change the look & feel of elements on the answers page? There are two ways to customize the style and appearance of your Answers page. 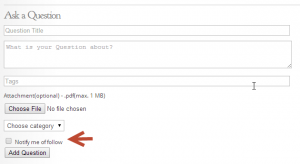 One way is to create a template in a directory called CMA and place it under your theme folder. This directory will contain all the files copied from the plugin under views/forntend. You can edit single.phtml and index.phtml to make changes in the appearance of the question or answer pages. The second and quicker way to do this is to locate the object on the page which you need to change and add it’s new definition into the custom css tab, which is found in the plugin settings. To locate elements, right click on the element and in the browser menu look for Inspect Element (Chrome). Can I use social media login for my discussion forum? Certainly! Enabling Social media login makes it quicker and easier for your site visitors to post questions, answers and comments onto your discussion forum. In addition, posts by users who performed a social media login are more likely to be shared across those platform, ultimately generating more exposure and traffic to your site. How do I upgrade CM Answers?